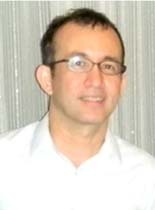 Augusto “Gus” De Leon is the president and principal consultant of De Leon Consulting, a private management consulting group. The firm provides strategic management consulting services to local and multinational companies including venture capital firm Hambrecht & Quist, entrepreneurs, non-profit organizations, and international funding agencies. Pioneering the “Shadow CEO” concept, the firm provides board and managerial level advisory services to selected Top 1,000 Philippine Corporations with specific expertise in the food industry.Prior to this, Gus was the president, vice-chairman and director of Republic Flour Mills or RFM Corporation, one of the top 20 Philippine corporations and one of the top 10 food and agribusiness conglomerates in the country.Gus was also the director of Marina Properties Corporation where he and his team planned and directed the development of a 173-hectare real estate property in Metro Manila. Gus took both his Masters in Industrial Management and Bachelor of Science for Business Administration at University of the Philippines. He also had trainings in International Advanced Management Program Centre d’ Etudes in Geneva and training in Trade Promotions Colombo Plan in Australia. Gus received recognition such as an honor from Phi Kappa Phi, University of the Philippines Chapter, Agora Award from the Philippine Marketing Association and Award in Personnel Management from the Business Leadership Award Association. Lisa Gokongwei-Cheng is the president of Summit Media, which she founded in 1995. 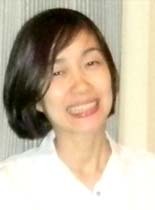 Lisa started out as a lifestyle reporter and then lifestyle section editor for The Manila Timeswhere she later became assistant to the publisher for Editorial. She has a Masters Degree in Journalism from Columbia University, New York. Summit Media is an affiliate of JG Summit, the property-food-airlines conglomerate. With a staff of five, one computer, and no air conditioning unit, she set shop at a corner of The Manila Timesoffice to produce Summit’s first ever glossy, Preview. Though she managed satisfactory results, Lisa’s real break came in 1997 when Hearst Magazine International’s Cosmopolitan, who at the time was looking for a partner in the Philippines, took notice of her fledgling company.Today, Summit Media is the leading magazine publisher in the Philippines with more than 20 titles, includingMen’s Health, Women’s Health, FHM,Top Gear, Good Housekeeping, Town and Country, and Entrepreneur. In this year’s TNS-Trends Newsstand Survey of 350 magazine outlets in key cities all over the Philippines, Summit Media titles were named most-bought in 12 categories. These categories include fashion, men’s lifestyle, men’s general interest, showbiz, food, shelter, homemaker, parenting, high school, health, and automotive. Summit Media is also a strong player in other businesses such as online job classifieds JobStreet Philippines, digital media, and outside-of-home media. 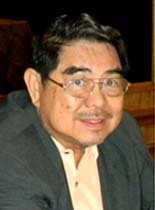 Noel is the president of NutriAsia Group since 2008. NutriAsia is the producer, marketer and distributor of quality sauces and condiments in the Philippines, producing iconic Filipino brands like UFC, Mang Tomas, Datu Puti, Jufran and Golden Fiesta, among others, that continue to be part of every Filipino home. Noel previously handled Unilever Malaysia and Singapore as chairman. Before that, he was the managing director of Unilever Philippines Home and Personal Care for three years.Prior to that, Noel was one of the marketing leaders for Unilever Asia. He was the vice president of Unilever in Asia, Africa and Latin America for Oral Care, director for business planning in Philippines and marketing director for toothpaste in China. He led the company in reaching their consumers by providing and meeting their everyday needs for nutrition, hygiene and personal care.Noel graduated from the University of the Philippines with a degree in Bachelor of Science in Chemical Engineering. He also studied at Sloan School of Management at Massachusetts Institute of Technology, Cambridge USA, at Kellogg School of Management in Northwestern University, Evanston, Illinois USA and at Ashridge School of Management in London UK.